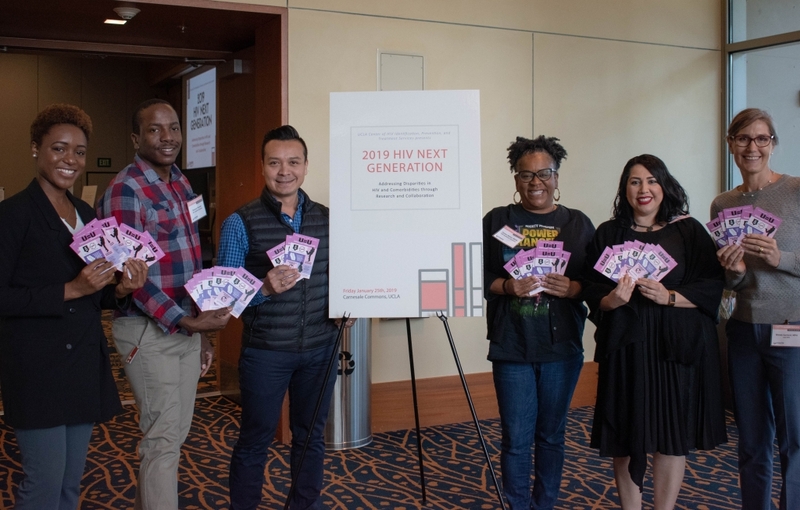 CAB members Damilola Jolayemi, Damone Thomas, Ricky Rosales, Carolyn Belton, Natalie Sanchez, and Wendy Garland show off the infographic at CHIPTS 2019 HIV Next Generation Conference. After months of development, the CHIPTS Community Advisory Board (CAB) proudly presents an infographic on U=U specifically for women this January (2019) for this year’s CAB Initiative. 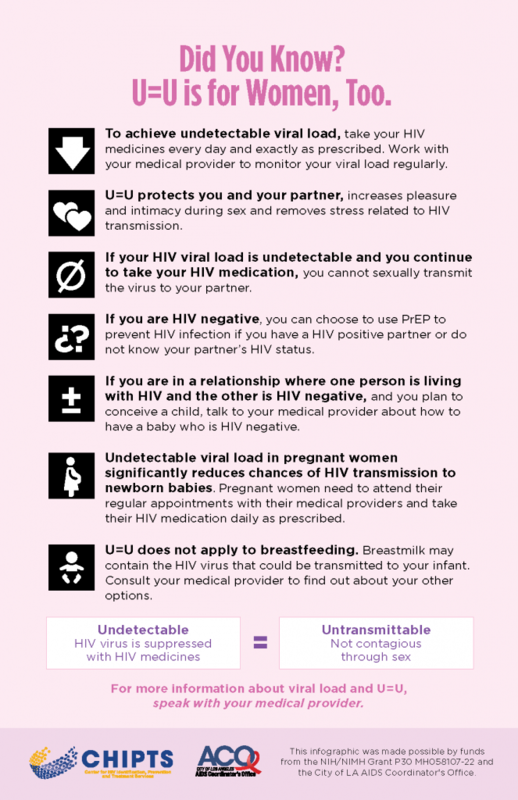 The infographic includes short, concise, and informative statements regarding U=U for women. We highly encourage women to seek out more information regarding U=U, viral load, viral suppression, and pregnancy from a medical provider. Two versions of this infographic are available for download: an editable version (with room for providers to add their contact information) and the original version. Please contact Damilola Jolayemi at ojolayemi@mednet.ucla.edu for more information.